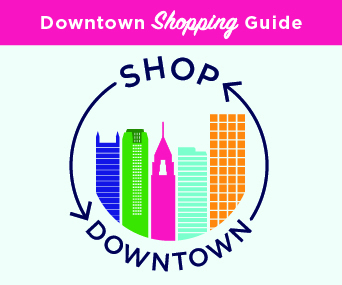 Worried about finding parking Downtown? No need—the PDP is here to help! 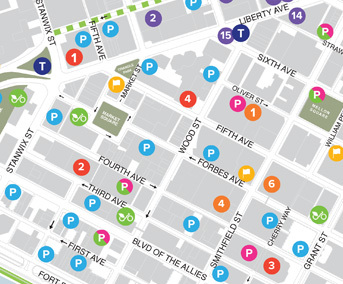 Use our handy interactive parking map to find lots of parking options—even $6 evening, weekend, and event parking. Located at the corner of 12th Street and Penn Ave., the Grant Street Transportation Center offers convenient and guaranteed (not to mention low cost!) parking 24/7 with round-the-clock security. 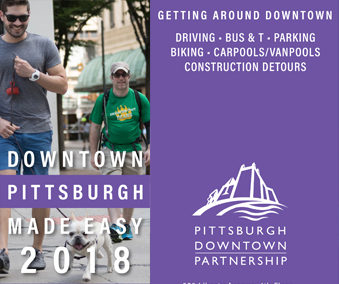 This state-of-the-art facility is a short walk to the Convention Center and businesses in the Strip District, Liberty Avenue, Penn Avenue, 12th Street, and Grant Street. ParkPGH is a very useful application available on the iPhone, the web, text messaging and a call-in service. It supplies real-time information about parking availability in all Cultural District garages, calculating the number of available spaces every 30 seconds. Learn more here. Have you ever been shopping Downtown or been stuck in a meeting and remember that your parking meter is about to run out? Now, you can use your cell phone to pay the meter, remember your license plate, extend your parking time, and more without running back outside! 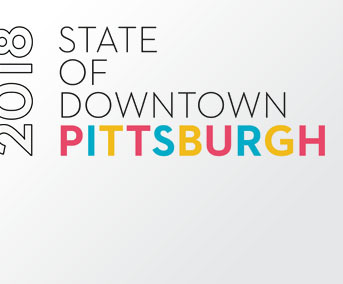 Throughout Downtown and the city of Pittsburgh, utilize Go Mobile Pittsburgh to make your next trip a little bit easier. See more about the program here. Make reservations for short-term parking in Downtown during the week. Convenient, hassle-free parking in Downtown is just a mouse click away using the PDP’s Reserved Parking Program Online Reservation Form. This courtesy program allows visitors to reserve a parking space for use Monday through Friday between the hours of 10:00 a.m. and 2:00 p.m. in participating garages. When you reserve a parking space, you are guaranteed a place to park at the regular parking rate. Your reservation will be held for 15 minutes beyond the time stated in your reservation. At that time, the garage has the option of releasing the space. The City of Pittsburgh was one of the first cities to introduce multi-space meter parking citywide. These high-tech, easy-to-use meter systems allow Downtown visitors to park closer and more conveniently to their desired destination. See the instructional video below on how to use the simple meter systems, and see how you can pay your meter using your mobile phone above using Go Mobile Pittsburgh. Click here for frequently asked questions about the Pay-by-License Plate Meters. Street meters hours are Monday – Saturday 8:00 a.m. – 6:00 p.m. and lots are Monday – Saturday 8:00 a.m. – 10:00 p.m. Parking is free on Sundays and after 6:00 p.m. Monday through Saturday at metered, on-street spots.